"Everyone perceives sauna in different ways, but all agree that it ozdoravlivaet as the soul and body". SZHIGAET KALORII - Thanks to enhance the metabolic cost and energy required to extract sweat, per visit saunas person can spend up to 300 calories (this is roughly equivalent to the distance run at 3-4 kilometers). UKREPLYAET YOUR HEART - With the finding in a heartbeat frequent high temperatures, which also improves blood circulation. AFTER SON SAUNA GLUBZHE I POLEZNEE - Saunu can be taken before going to bed that he was more profound and relaxing. This also affects favourably on the vessels. RECREATION AND COMMUNICATION - Saunoy can enjoy not only alone but also in a circle of family and friends. Communicate in the sauna has to openness in communication, calm conversation and intimacy. 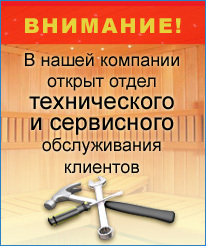 RASSLABLYAET MYSHTSY - Sauna may give a temporary easing in pain associated with arthritis and rheumatism. VYVODIT TOXINS - In the process of sweating in a sauna from the body disposed of toxic substances such as lead, nickel and mercury.